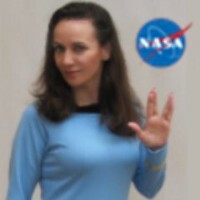 Problem solver, passionate about technology, astronomy, design thinking, and user experience. Excited to create technologies that will shape the future. @PopMech writer. Space and human evolution enthusiast. Cats. Other works @TheToast, @Awl, @TheAtlantic, @verge. Opinions my own, etc. and are probably terrible. PhD student at MIT. Studying biological engineering and research in #synbio. Political junkie. Hoosier at heart. Irrepressible over sharer. Free time usually involves silver halides. I’ll edit this profile at some point.